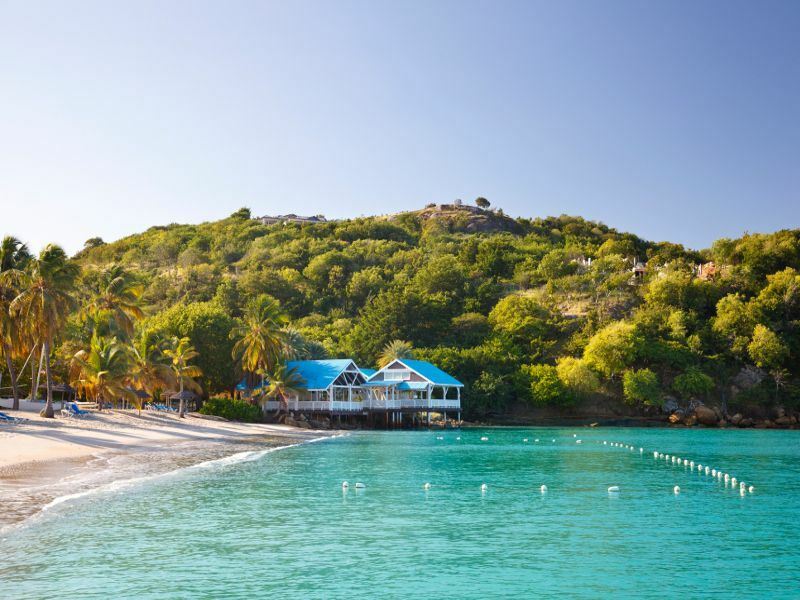 If you are looking for barefoot bliss with a touch of sophistication, Antigua is an island paradise that will tick all the boxes. Stay at Galley Bay Resort & Spa, located along a golden stretch of sand and surrounded by tropical gardens tranquility awaits. 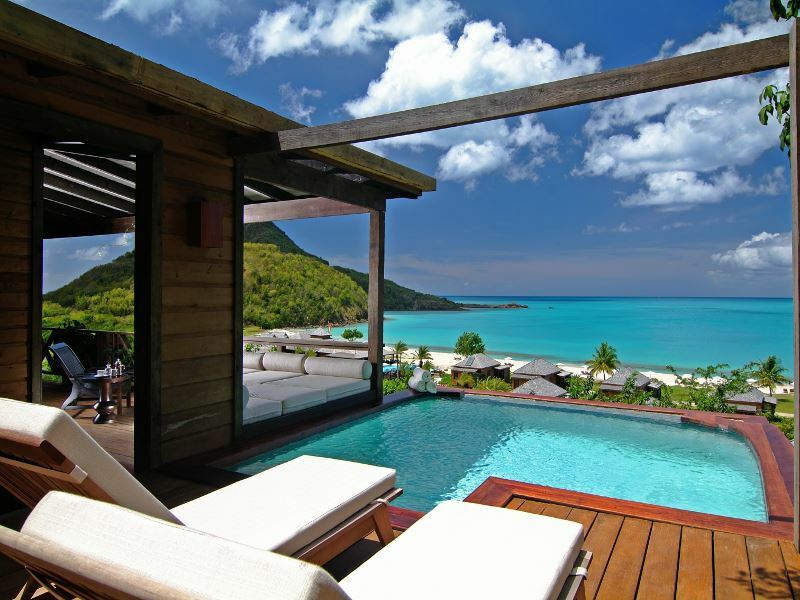 Accommodation options include Gauguin Cottages, an airy retreat with its own private plunge pool. Or perhaps a Premium Beachfront Suite is more your style, relax on your own private terrace or balcony overlooking the dreamy Caribbean Ocean. Indulge in a little you time at the spa, cool down with a dip and a snorkel in the turquoise waters, rejuvenate with a jog around the lagoon, soak up the sun by the pool or keep active with a game of tennis. Galley Bay has a selection of bars and three restaurants choose from, for something a bit special try Ismay’s at the southern end of the beach or book a private beach dinner to really push the boat out. Hermitage Bay Hotel has an undeniable air of elegance; this boutique hideaway will really knock your socks off. 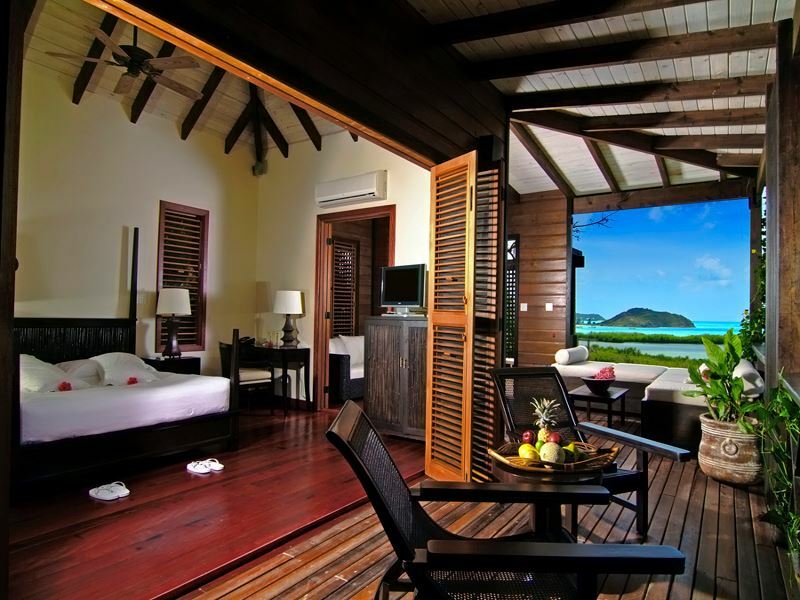 The 27 suites are situated on the beach or hillside all with stunning views of the ocean. The Hillside Pool Suites have a private sun deck and plunge pool and the Beachfront Suites have an enviable location right on the sand. Visit the spa for organic treatments or unwind with a yoga class on the spa deck. Enjoy a candlelit dinner while listening to the tranquil sounds of the waves lapping on the shore and enjoy a cocktail at the lounge area on the decking by the pool. Blue Waters is surrounded by not one but three gorgeous beaches, find your own slice of heaven at one of the secluded coves or lounge alongside one of the pools with a book. Take a stroll around the resort’s tropical gardens, relax at the spa or watch the sunset with a cocktail in hand at the Beach Bar. Perched on a cliff top the Cove Restaurant combines elegant views with decadent food, a real Caribbean gem. The Cove Suites, located separately from the main resort are the ultimate tropical retreat. 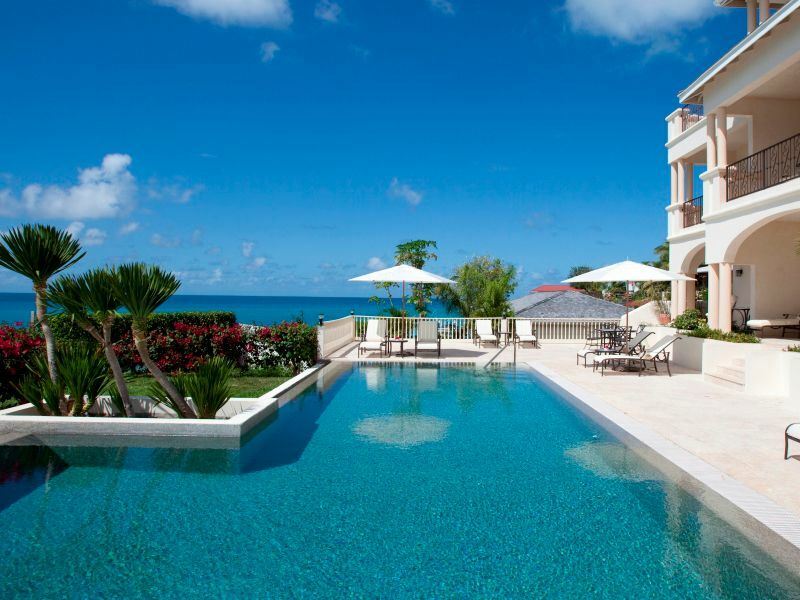 Guests staying in the suites and penthouses have the exclusive use of an infinity pool with marvellous ocean views. 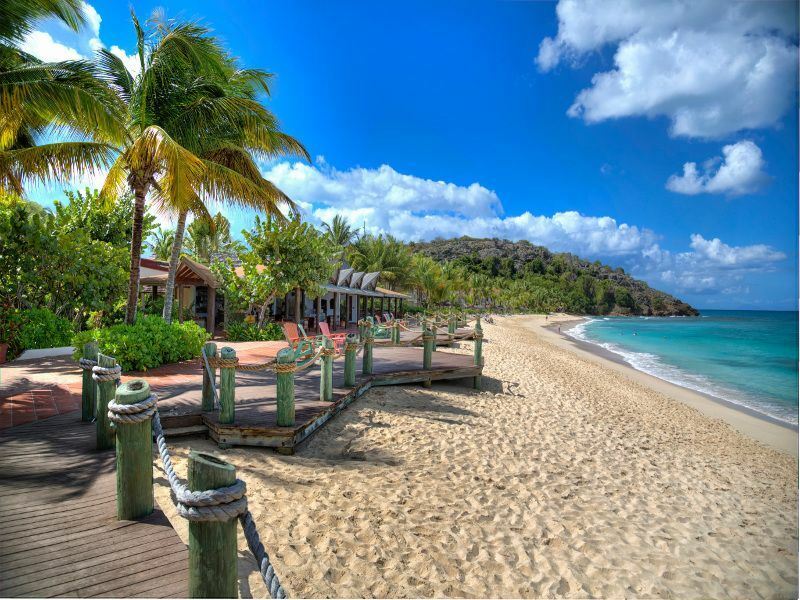 While in Antigua, experience one of the islands 365 beaches in style with a massage on the sand at Valley Church Beach overlooking the turquoise hues that this beach is famous for. Half Moon Bay has pink sands and calm waters protected by a reef, perfect for snorkelling and with almost a mile of sand there is nothing else to do but relax here. Just off of the coast lies Prickly Pear Island, tiny and uninhabited its dreamy shores can be visited on day trips, snorkel with turtles and swim over stunning coral reefs, then find your own idyllic spot for sunbathing. If you are looking for a little more action go for a thrilling horse ride. Gallop along a beach, trek through shady plantations or head out on a trail ride for glorious views; cool off afterwards and swim with your horse in the ocean. The island is well known for its world-class sailing and regattas are held throughout the year here. 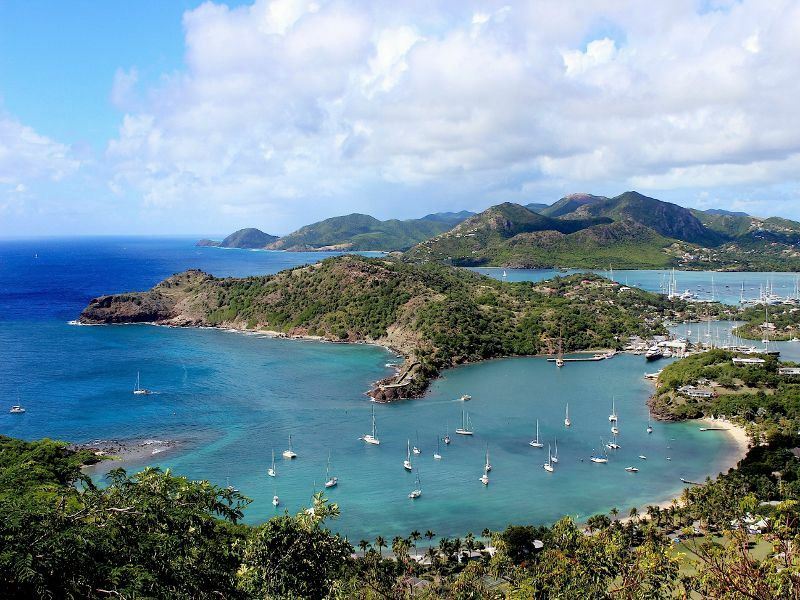 Chartering your own yacht is a wonderful way to explore Antigua’s beautiful waters and coastline. Anchor up in your own private spot, find a deserted white sand beach or cruise to Deep Bay and snorkel the shipwreck of The Andes. Choose a crew to help you along the way or if you are an experienced sailor go it alone. Big Game fishing is a popular past time in Antigua, Wahoo, Mahi, Mahi, Tuna and Marlin are just a few of the species to look out for. Head out to sea on a half or full day trip from various locations around the island. Whether you are an experienced angler or a novice, the thrill of catching a huge fish in beautiful waters makes for an exciting day out. Spend a morning or afternoon strolling around the historic Nelson’s Dockyard and English Harbour, museums, boutique, shops, bars and restaurants line the waterfront; it is a nice alternative to a day at the beach. After all that walking, Cloggy’s found in Antigua Yacht Club has views overlooking Falmouth Harbour and is a nice bar to escape the sun with a glass of wine. Don’t miss the views of English Harbour from Shirley Heights, it’s a fantastic spot to watch the sunset from and on Sunday evenings a barbeque and live music can be found at the top. For shopping Redcliffe Quay in St John’s is the place to go, pretty pastel coloured buildings line the waterfront and are home to boutique clothes stores and art and gift shops. After shopping, rest your feet at the trendy C & C Wine Bar for a beverage and snack. For a lively night out visit Kings Casino in Jolly Harbour and play on the world’s largest slot machine, it stands at over 15 feet tall and is named Colossus! If you don’t win big then live bands on Friday and Saturday nights make dancing the night away with a glass of champagne or two easy. To see more of the Caribbean island-hopping is the perfect adventure, head to the Leeward Islands of St Kitts and Nevis, characterised by dormant volcanoes and mountainous tropics, along with the all important palm lined beaches. Or skip over to the British Virgin Islands, with over 50 to choose from there is a lot to discover. 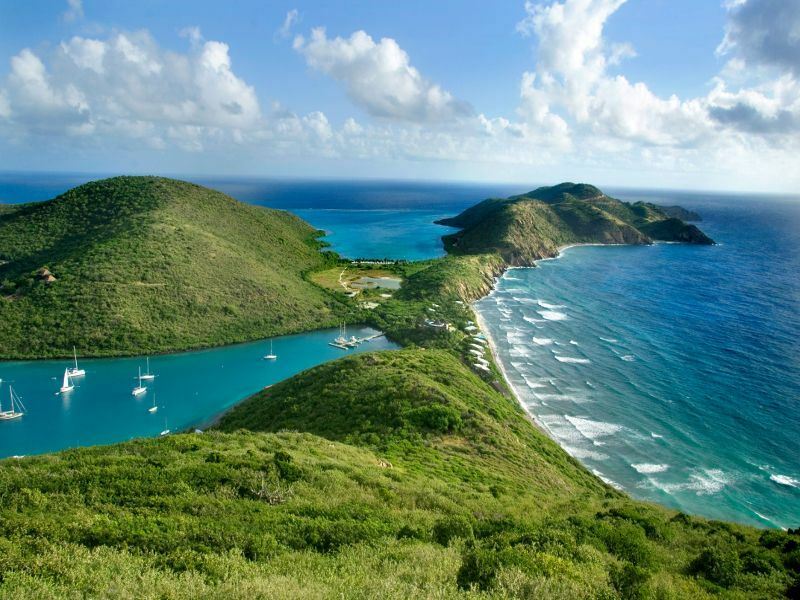 The main island of Tortola is well known for its chilled out party scene. Hike up Gorda Peak on Virgin Gorda to the look out tower at 1,359 feet; found at the highest point of the island it has breathtaking views. The Baths, also found on Virgin Gorda are not to be missed. Huge boulders line the beach, tidal pools, caves, tunnels and arches are all formed from the boulders and are great for exploring. The trail to Devil’s Bay, reached via ladders over the boulders is a must; this is a beautiful area for swimming and snorkelling too. Relax on a sun drenched beach, retreat to your own private plunge pool, charter your own yacht and find a secluded cove or island hop in paradise. Antigua has a sophisticated style suitable for the most discerning traveller and is an ideal place for a luxury Caribbean escape.